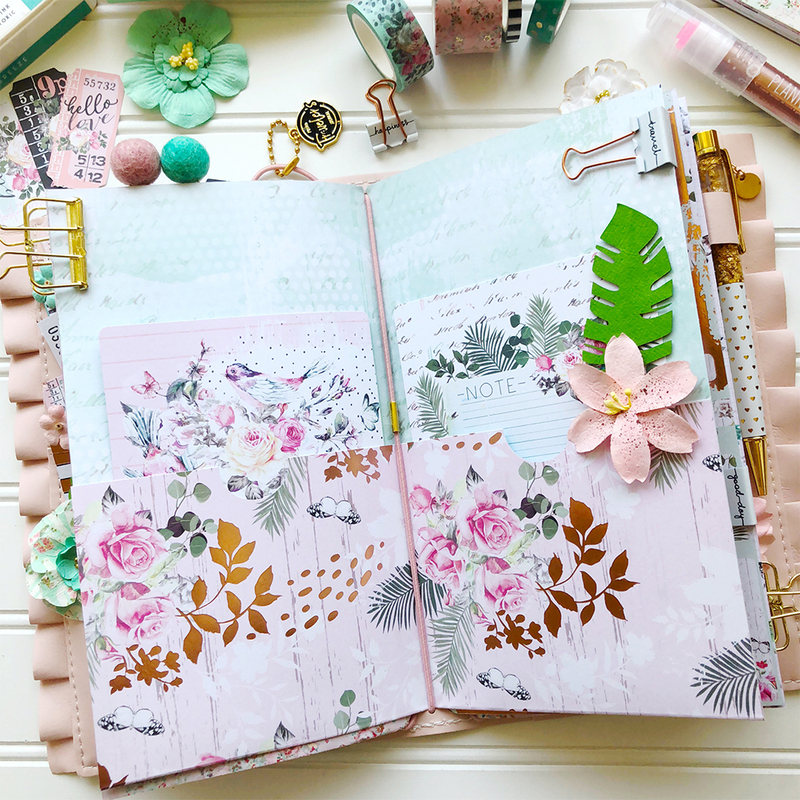 The Havana collection has such beautiful Summer feel and Jomelle did a beautiful job at incorporating it in her Sophie travels journal. When setting up your travelers journal you are able to use the Havana 12x12 paper to make journal covers and pockets. 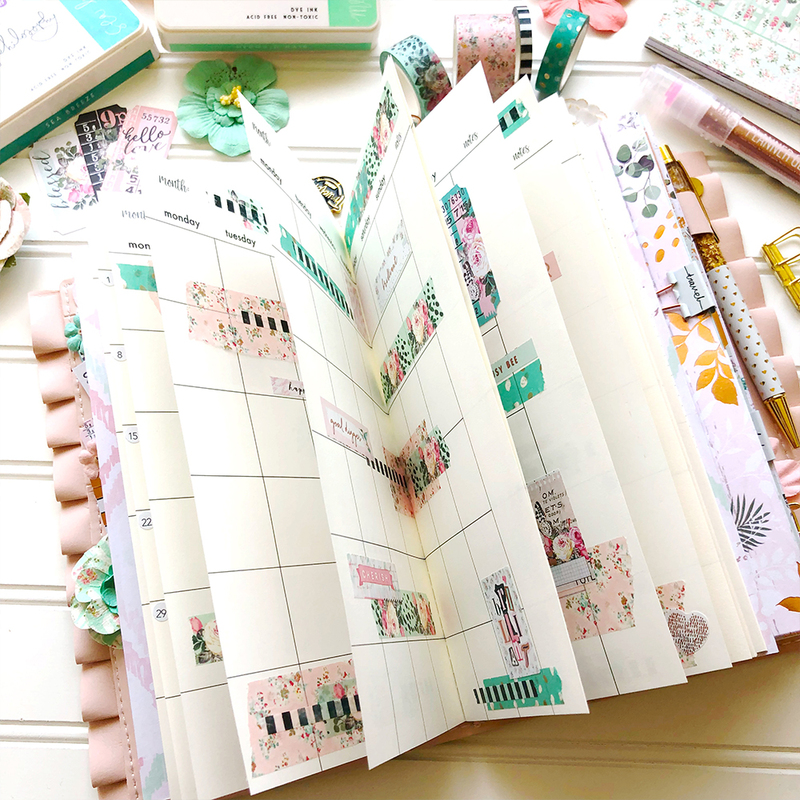 You are also able to use the journal cards and ephemera to decorate your journal covers and pockets. Here are some of the Havana products used. To include the 12x12 paper pad, 4x6 and 3x5 journaling cards, and sticker set. Here you are able to see a pocket Jomelle made using one of the 12x12 pattern papers. She cut it down to fit her Standard journal. The dimensions when closed of this pocket are 8.30 by 4.30. Other Havana products that were used to decorate the pockets of this travelers journal, as well as the dashboard, was the washi tape, ephemera packs, tickets, flowers and or Josephine Stickers. 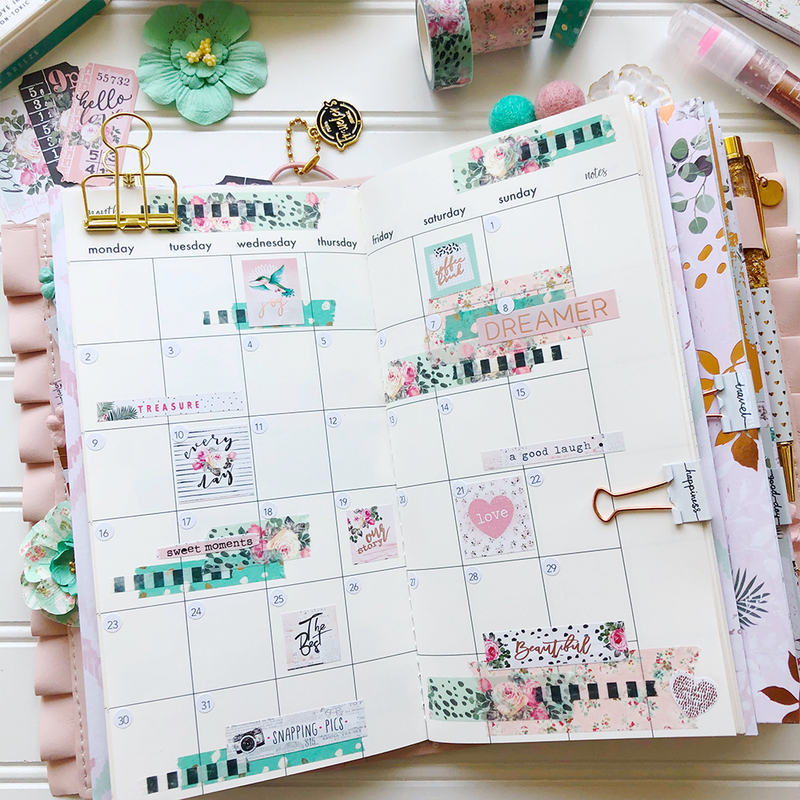 The Josefina Planner sticker Tea Time was the center of attention for this Dashboard and with the elements of Havana paper, washi, ephemera and flowers it turned out so stunning. There are so many elements that can be included in your pockets of your traveler's journal. Here Jomelle stuffed all her pockets with tickets, ephemera pieces, paperclips and flowers creating a beautiful collage of Havana. Now it is time to add all those important dates and information. I hope this blog has inspired you on how you can use the Havana collection and we hope to see your projects soon. Make sure to follow Jomelle for more inspiration at @xoxo_jomelle.